Manufacturing all the components for tools and devices in the medical industry is an uphill battle to mastering two key aspects: precision and quality. With the growing needs of life sciences, metal components have become an integral part of building medical devices for active stimulation and surgical treatment of diseases and illnesses. These devices face a constant challenge of biocompatibility as they must be suitable for both internal and external use in fields such as orthopedics and cardiovascular medicine. Implants for bones and joints such as the knee or shoulder are continually evolving and require a rapid prototyping of the device design to test for functionality. Simultaneously, cardiovascular implants like defibrillators, pacemakers, and artificial heart valves demand the use of components that will react optimally with human body fluids. These continued demands and advancements in medical technology are largely possible due to the development of metals and alloys for components as small as tiny screws or as complex as implantable surgical devices. Metal stampers for medical devices are aiding the industry in its rapid adaptability to new challenges and issues every day. 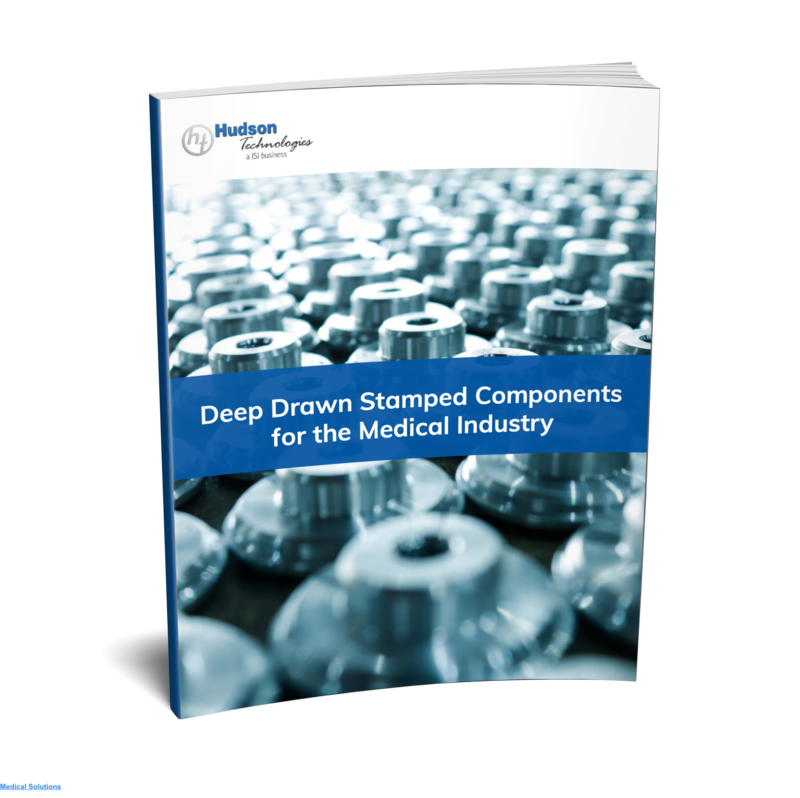 Deep drawn stampings play a huge role in fulfilling these requirements of medical devices and instruments. Along with implantable medical devices, precision engineered metal components are also integrated into housing and casing components for cardio and neuro, shields and half-shells, battery cases, and capacitor components. To keep the industry up to speed with new findings and technologies, metal stamped medical devices rely heavily on two materials: Titanium and Stainless Steel. Known for its versatility in internal applications, Titanium stamping has exceptional capabilities of resisting corrosion and connecting to human bone and tissue (known as Osseointegration) with very few negative reactions. It has also become a staple in shields for implantable medical devices based on its inertness and low risk of rejection. Experts in deep drawn stamping can use this material to create medical advances for surgery and surgical instruments like drills, forceps, retractors and more. The other widely used and highly reliable alloy in the medical device market is Stainless Steel. Commonly found in devices such as pacemakers and diagnostic guide wires, the material is recognized for high corrosion resistance and excellent formability for various purposes. Through manufacturing of these deep drawn components, the utilization of stainless steel alloys ensures high-quality parts that maintain all important characteristics before, during, and after usage. Deep drawn metal stamping capabilities aren’t just limited to the materials used but are quick to support innovations and work with OEMs to speed up the delivery of new devices to the market. Metal stampers have learned to respond to the needs of the medical industry faster than ever with dedicated prototypes and well-developed R&D units. The metal components are formed with proper cleanliness, equipment, and surface finish to ensure easy use and maintenance no matter what the application. Deep drawn metal stamping allows for total accuracy and precision for medical needs with customized designs and specialized modifications– pushing the industry forward during the most challenging times.